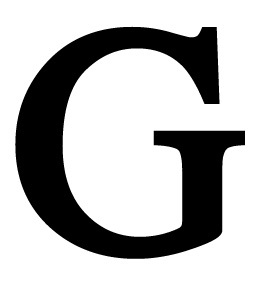 This letter G is 6 inches high and is created of wrought iron. The metal has a satin matte baked-on powder coat finish for maximum protection for use indoors or outdoors. Wall mounted. Our small house letters can be shipped via USPS Priority Mail at a flat rate of $6.95, unless combined with other items for shipment. Select Flat Rate as your shipping method during checkout to take advantage of this rate. These American made wrought iron house letters are handcrafted in Fabius, New York, by Village Wrought Iron.